The item of package included a lace trim. Perfect for wedding dresses accessories, bridal headpiece, wedding gown making, formal wear, costumes or more handmade projects! Easy for you to sew on your wedding dress, veil. 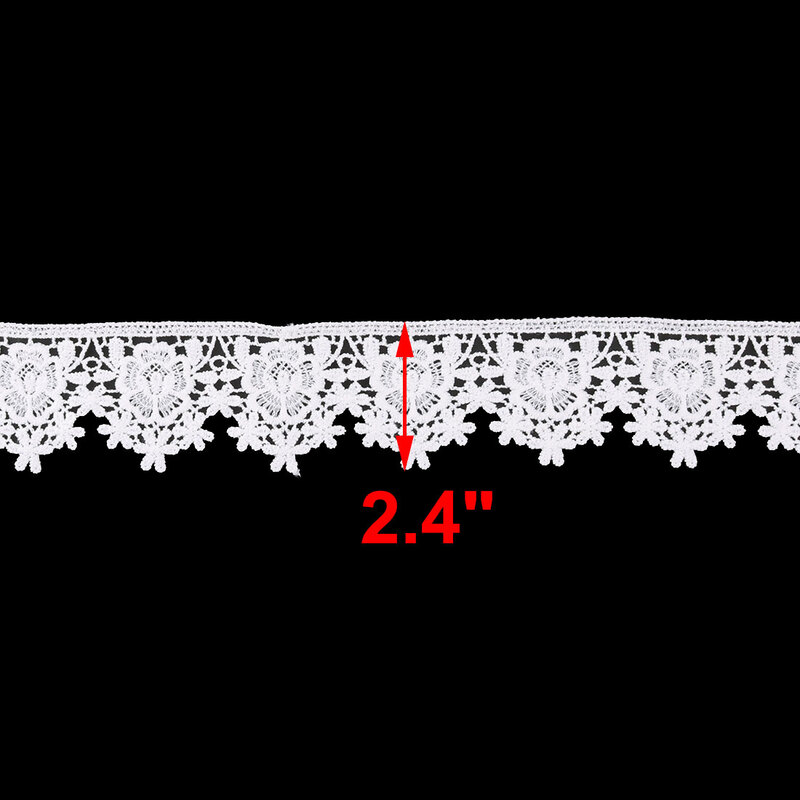 Polyester lace trim will add elegance to your decorative items,suitable for embellishing cards, floral arrangements, packages, scrapbooking, clothing and more,get what effects you want. 3.There might be some smell, you can put it in a ventilated place for about one or two days. Elegant design, beautiful and delicate, silky and soft, pretty and lovely, make you enjoy the feel of beauty and silky. It meets your different beauty needs and express your wishes to your friends. Could be used for many trim items just as decorating, floral designing and crafts. Ideal for vintage sewing and craft projects, card, paper crafts, decorating gift baskets, accenting home textiles, our goods will be your best choices.